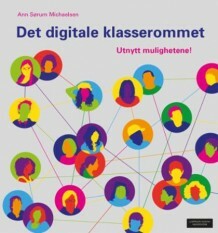 How many Highly Effective Tech-leading Principals do we have in Norway? I just read the article 7 habits of Highly Effective Tech-leading Principals and it made me think about school leaders n Norway. We like to think that Norway is far advanced when it comes to using technology in schools. When I read about the struggles in other countries and the “bring your own technology” initiatives I feel lucky and privileged to live in Norway. All our students get a laptop when they start high school and two weeks ago my class had the first full internet access exam. I wonder why we don’t have more visitors from other countries? Could it be the way we use this technology? It’s not fundamentally about the technology. It’s about the technology supporting the learning goal. Patrick Larkin. Are we getting this? Can we shift the discussions in Norway from banning Facebook and You Tube and start focusing on the learning? And the connecting? 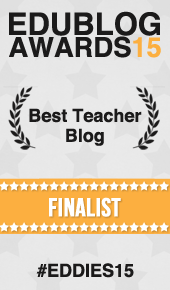 Could we possible learn from others using Twitter and writing on blogs? I would certainly like to challenge principals in Norway, bur realize to do so I would have to write a blog in Norwegian. And I’m not even sure how to reach school leaders in Norway, are they on Twitter? Imagining we could move beyond the language and technology barrier I would like to post a 10 point challenge. How many of these do you feel comfortable with? Principals must effectively and consistently model the use of the same technology tools they expect teachers to use in their classrooms with the students. Principals must be consistent in their decisions and expectations about integrating learning technology in the school. The principal‘s communication about the pace and process of integrating learning technology needs to be clear and reasonable. The principal must provide appropriate professional development time and resources to support effective classroom implementation of technology. The principal must support early adopters and risk takers. The principal must do whatever it takes to ensure that all staff has early access to the very same digital tools that students will be using in their classrooms. As the educational leader, the principal must make it clear to the technology leader that all decisions relating to learning technology will be made by the educational leaders with input from the technology leaders, not the other way around. The principal must set and support the expectation that student work will be done and stored using technology. Principals must ensure that families and the public are kept informed about the school’s goals and progress relating to its use of technology as a learning resource. The principal must be an active and public champion for all students, staff members, and the school in moving the vision of fully integrating learning technology for the second decade of the 21st century. Here in the U.S., we have classes revolved around nothing but technology. But, as far as the school supplying us with laptops, we use their laptops instead of ours. Social networking is not used as a tool in classrooms, but clubs and organizations are used to reunite and connect.